With his wife, Evie, scheduled for surgery the next day, Dr. Harry Corbett goes to the hospital for what he hopes will be a quiet evening of reconciliation. In recent weeks Evie, never quick to share her feelings, has been more closed and distant than ever. But when Harry reaches Evie's room, it is too late for reconciliation. Shockingly, without warning, Evie is dead. The police suspect homicide. And their only suspect is Dr. Harry Corbett. dangerous secrets. But what secret could have been explosive enough to die for? Then the killer strikes again, boldly, tauntingly murdering one of Harry's favorite patients in such a way that only Harry knows the death was not natural. 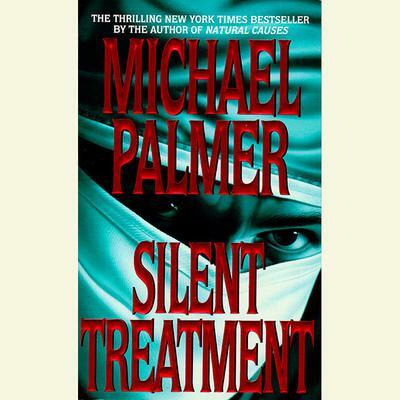 This time Harry is certain: The killer, medically sophisticated, coolly arrogant, moving undetected through a busy urban hospital, could only be a doctor. And he wonders--how many more will die? Desperately Harry probes deeper, following the only clue Evie left. What he finds is a sinister pattern that threatens patients in every hospital in the city. Harry is engaged in a life-and-death battle of wits with a chillingly efficient monster. And until the doctor is unmasked, no patient is safe from his lethal silent treatment.